Your feedback is important to us. Without it, there really isn’t a way for us to know what we need to do to make your experience at Paterson Family Chiropractic even better than it is. 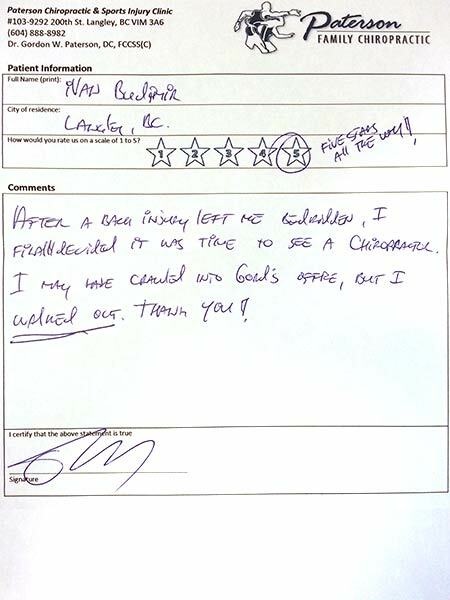 So drop us a note – just ask for a feedback form at the reception desk next time you’re at the office. Below are the forms patients just like you left with me since I started collecting them a few months ago. A truly professional health care Chiropractor and recommend him highly. 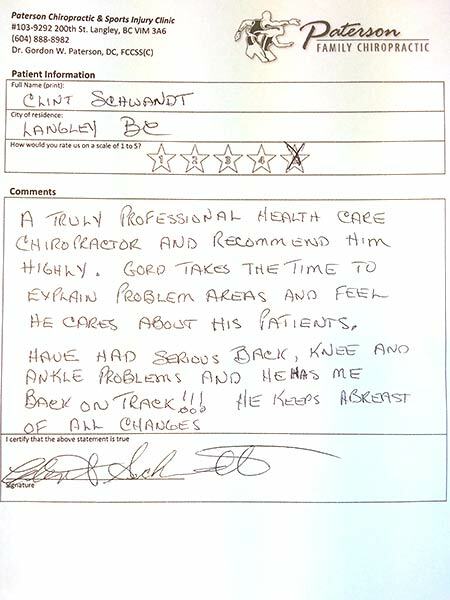 Gord takes the time to explain problem areas and feel he cares about his patients. Have had serious back, knee and ankle problems and he has me back on Track!!! He keeps abreast of all changes. 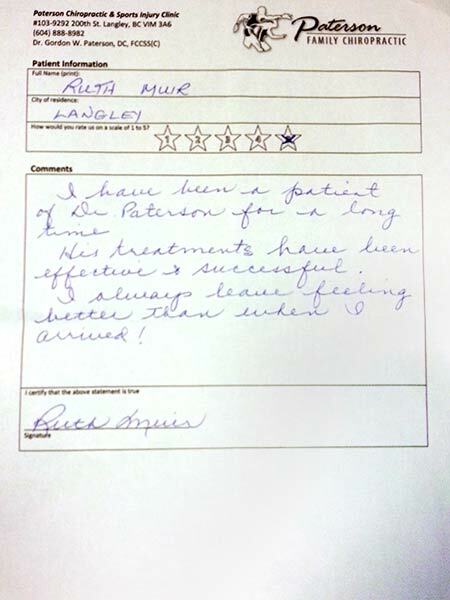 I have been a patient of Dr. Paterson for a long time. His treatments have been effective & successful. I always leave feeling better than prior to arrival! 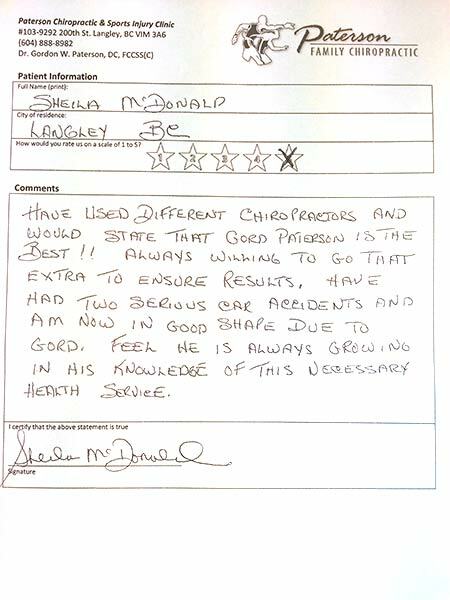 [I] have used different Chiropractors and would state that Gord Paterson is the best!! Always willing to go that extra to ensure results. [I] have had two serious car accidents and am now in good shape due to Gord. [I] feel he is always growing in his knowledge of this necessary health service. The best of the best. Period! Even reception!